2 x per min for 10 minutes perform a 10 m sprint. You are to accelerate to top speed, then come to a complete stop WITHIN 10 meters each time. Post time & sprints completed to comments. This workout is cool (the first part is). By accelerating to top speed within a short distance, you tax and shape mainly the posterior portion of your lower body. Then, by hitting the brakes and decelerating to a stop in the same short distance, you tax and shape the other side (anterior). This lends to perfect balance in your lower body. Most people make the mistake of thinking that a sprint workout is all about using the lower body and lungs. It is not. Sprinting taxes the entire body, ESPECIALLY the core. It is one of the reasons sprinters look like this. Give it your all today to get the most benefit. We say this a lot, but it is probably best to remind the rookies. Sprinting (even these little 10s) can make you miserably sore, or injured unless you are specifically conditioned for them. If you begin to feel undue tightness in your legs or trunk - we suggest backing off. If you joined us last week for HELLth week, these suggestions will help a ton. Your body is still inflamed. Taking a little extra care of it this week will go a long way toward recovery and setting you up for INCREASED health and fitness in the future. Here are some things you might try. Physical - After each workout, you are primed to move a bunch of muscle waste (still lingering from last week) and lactic acid around (out of cells). Pushing waste out of cells, helps pull nutrients and oxygen back into the cell. It'll also help improve flexibility and can prevent future injuries. HERE is a pretty good video to get you started. GPP will put together a foam roller workshop this week (scheduled for early next month). Watch for it here on the site. Feel free to use our foam roller under the front desk. Also, feel free to ask any one of the trainers for help using it. 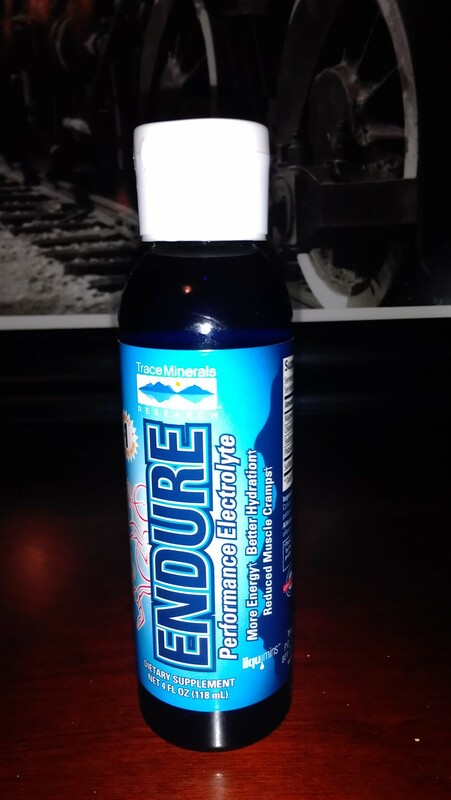 Nutritional - Consider replacing your electrolytes. If you sweat a lot, you are likely a bit low. If you are a bit low, you could be getting anything from headaches, to cramping, to injury. By replenishing your electrolytes you might find improved energy levels, better sleep and better over-all hydration levels. Bananas, milk, coconut milk, olives & leafy green vegetables are good foods for obtaining electrolytes. You might also add drops to your water (Ed. - it's how I do it.). Lifestyle - Call and schedule an appointment for a full body massage this week. You must obtain this massage at some point during the next 30 days. Cost is typically around $60. Additional weekly challenges are designed to help you patch holes in your fitness, nutrition & health – if you have them. Beginning Apr. 28th, the weekly challenges will be issued (by email) only to those who request them. They will be subscription based ($45/year). If you'd like to receive them, please notify us by sending your email HERE. We heard about this on the news. We were very proud to be associated with Walker (you storm along side him during early morning workouts in the winters). We are proud to call him our friend. He carried Old Glory for the entire 26.2 miles of the SLC marathon this weekend. Now, that alone would have been amazing, but it was raining that day, adding a bunch of weight to that flag. No doubt he ran it every step. Just like he ran every step 6 days before in Boston.